Waterline was a wonderful experience, bedroom suites comfortable, private and the outdoor shower a “must have” great extra. The library area had something for everyone, so downtime would not have been a problem. The entertainment mezzanine is gorgeous and makes for fun easy living and can handle a crowd with ease. The pool area has a really good view across the beach to the sea and a fantastic spot to sip champagne and watch the sun go down while having a swim. The amenities cover all requirements including two braai options. Waterline is highly recommended for any age group. 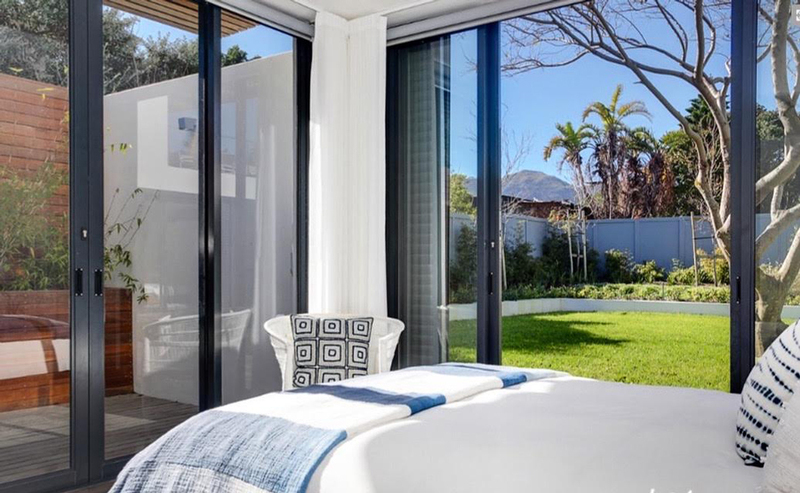 Waterline is the ultimate holiday venue … The “each bedroom with an en-suite” runs in its favour … and the outdoor showers are an absolute winner. The west-facing deck offers a spectacular ocean view for sundowners while the east-facing deck would be perfect for breakfasts most of the year round. 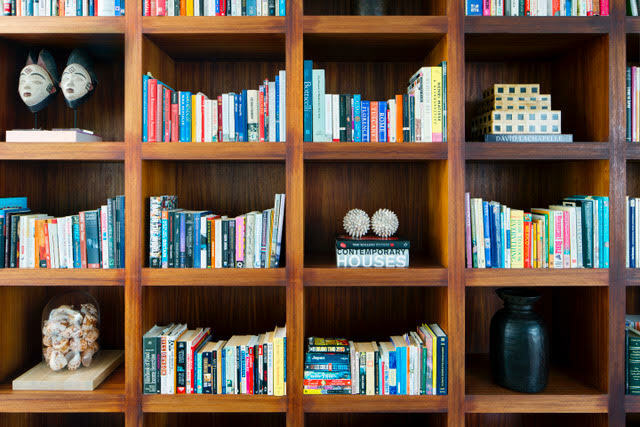 The décor succeeded at achieving that difficult balance between designer chic and home-comfort … and any house that offers a library of books for guests to read jumps at least 10 points in my estimation. There are not enough superlatives to describe this venue, but to sum up, it has all the comforts needed in a villa without being too ostentatious & over the top and despite its size, still manages to ooze a warm, homely & laid-back atmosphere. Thanks once again for having us over. Just the most comfortable, beautiful, liveable space. So grand, yet so homely. I love its energy and never want to leave whenever I visit Waterline. The house has a tranquil feeling with its open spaces and clean straight lines. I have had my eye on house Waterline for a while, if only to get a gentle smell of pure Linseed oil warming off the new woodwork in lieu of appreciating the natural uniformed matured grey. 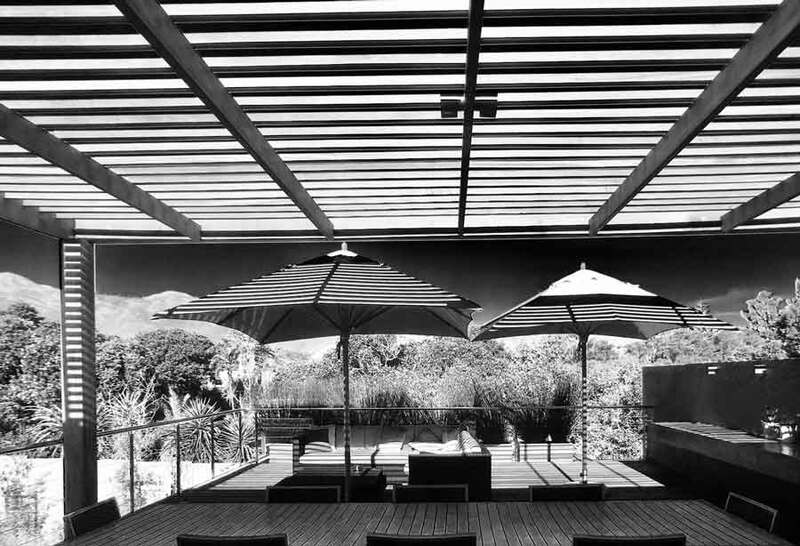 Coming from a line of carpentry I love the Balau hardwood decking, screens, cladding and beautiful pergolas in and around the house, this heavy, high density wood is extremely durable to global warming and easy on the eyes. Thank you to the owner for such a remarkable space, complementing the architecture. A home away from home. The venue, where do I start? I fell in love with that place; the truest definition of love at first sight. Each room felt like a place I should call home. 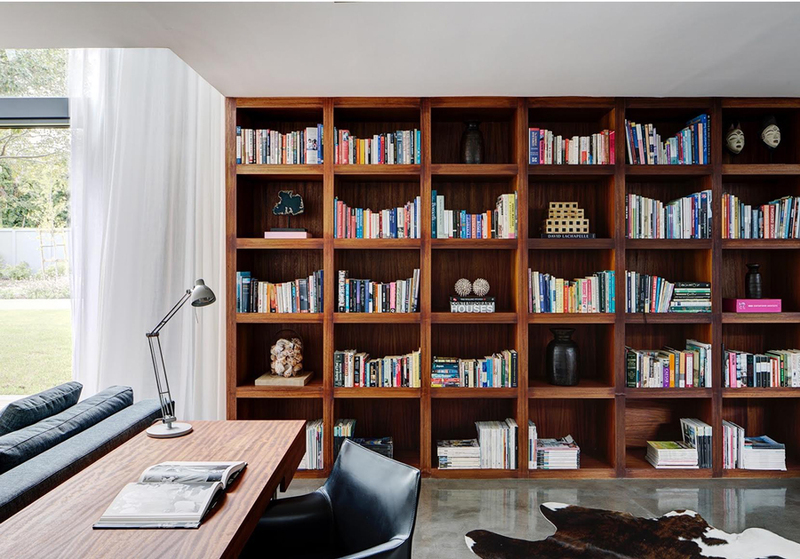 The amazing bookshelf in the lounge area made the room feel complete. It’s a really beautiful place. I’m definitely going to take my family and friends there for a sleep over. It’s an experience worth sharing. Cool contemporary…well chosen décor & furniture pieces that exude a luxurious touch without feeling elitist. Art work to get lost in… All wrapped up in the warmth of feeling at home. 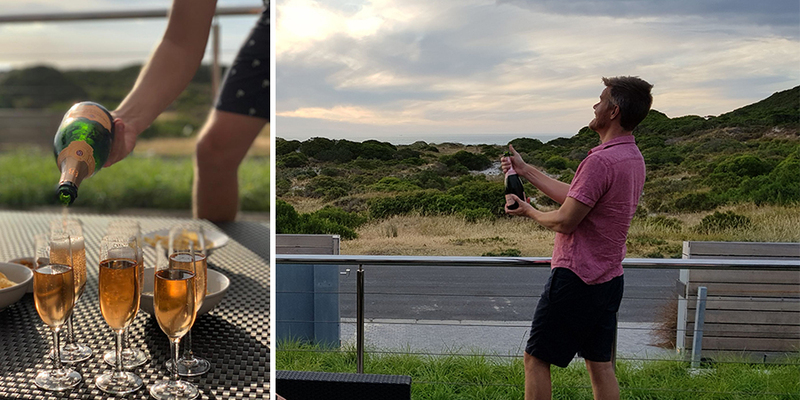 Waterline is the perfect place to relax sipping a glass of local wine, whether watching the sunset over Noordhoek beach listening to the crashing waves or admiring the views of Chapman’s Peak and the mountains. With all-around views there is always something to appreciate. 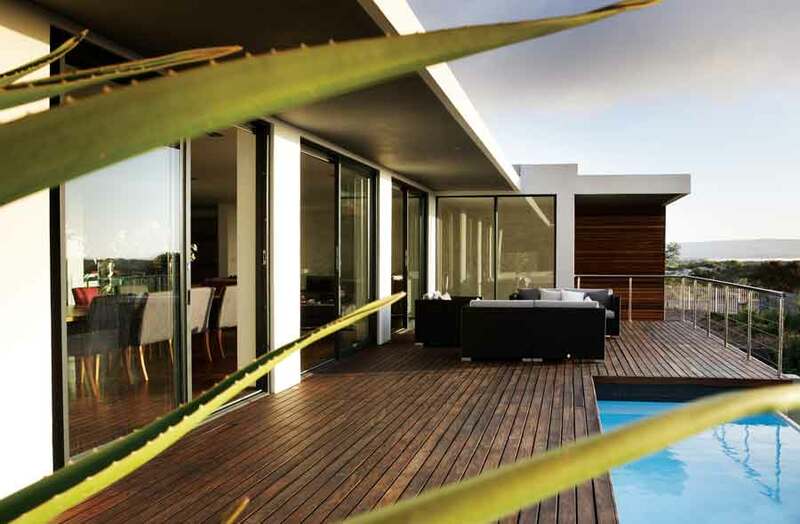 Such a beautifully designed and styled house, especially the decking areas to the front and back. 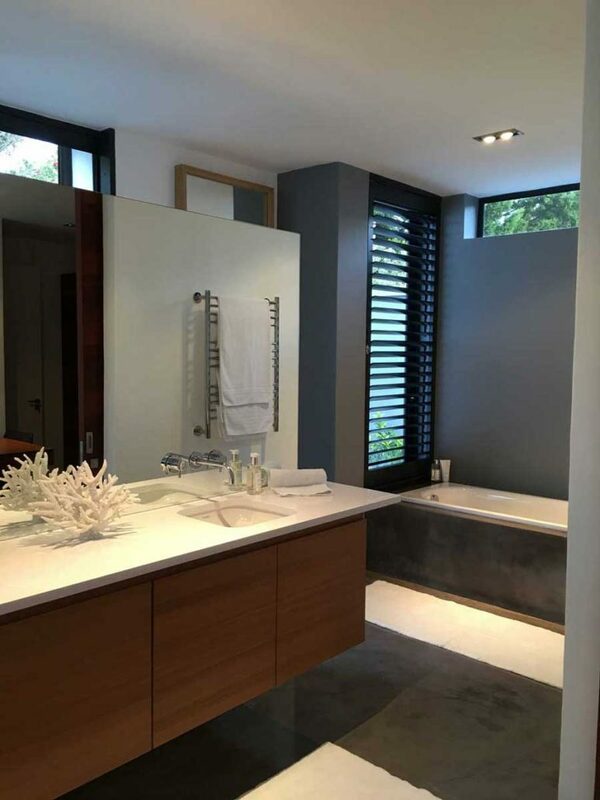 Waterline is finished to such a high specification in every aspect with each bathroom having its own outdoor shower. There are plenty of restaurants, cafes and shops all within easy reach and Cape Town is only a thirty minute drive. Plenty to see and do. Sonja, the property manager, was so welcoming and helpful, and is a font of local knowledge. 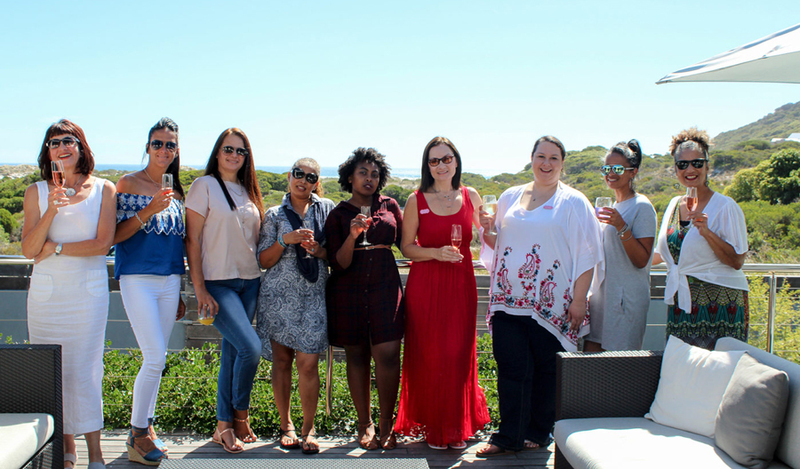 We had an amazing stay at Waterline villa in Cape Town. 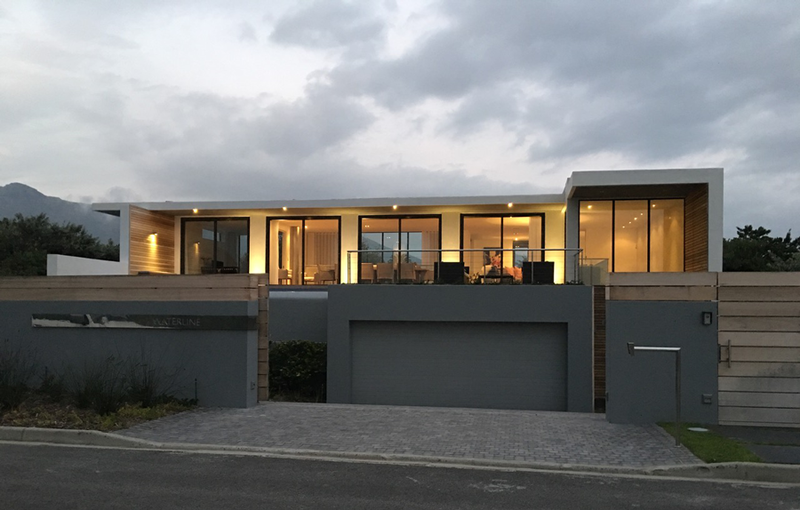 Waterline is a contemporary house finished to a very high standard with the most beautiful views across the dunes to Noordhoek beach and of the imposing Chapmans peak. There is ample entertaining and living space with lots of different areas to relax. It has been incredibly thoughtfully designed with a large, beautifully furnished open plan living and kitchen area on the first floor taking advantages of the fabulous views, to the front, rear and sides. There are two other great living areas, a nice snug and separate tv room and a large and very comfortable seating area and desk on the ground floor. The house is flooded with light and the consistently excellent design is carried through to the front and rear terraces, which are also comfortable and very well furnished, as are the 4 bedrooms, all with their own bathrooms and additional outdoor showers. 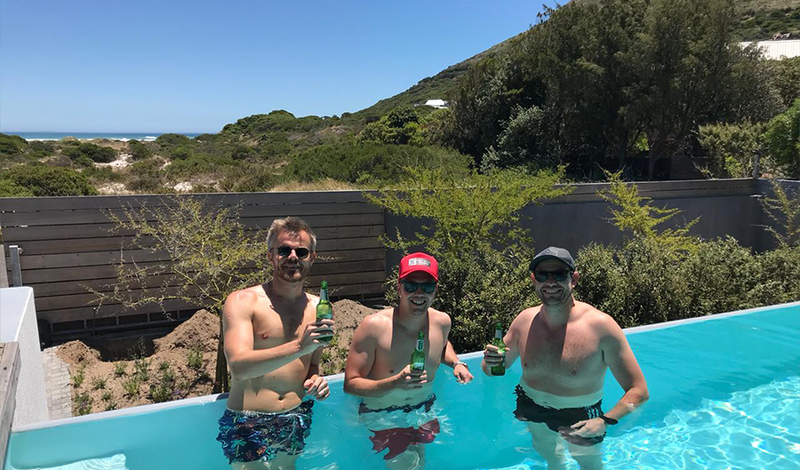 We liked being in Noordhoek, only 35 mins from central cape town but away from the hustle and bustle and a great spot to explore other areas of cape town. 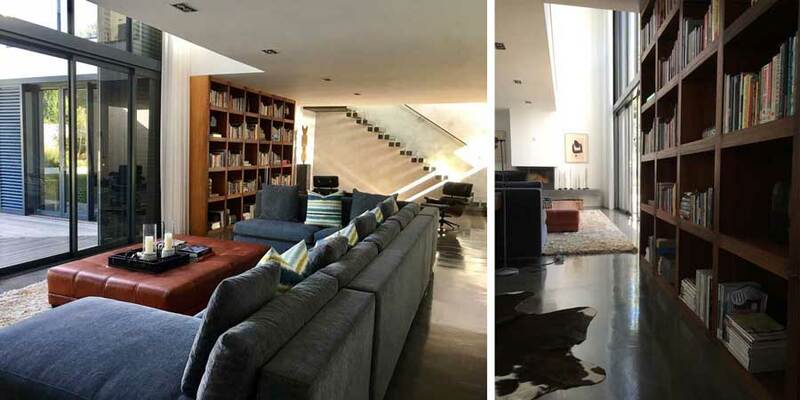 This unique and contemporary home Waterline, has proven to be a very sought after location for both stills and Film Shoots. 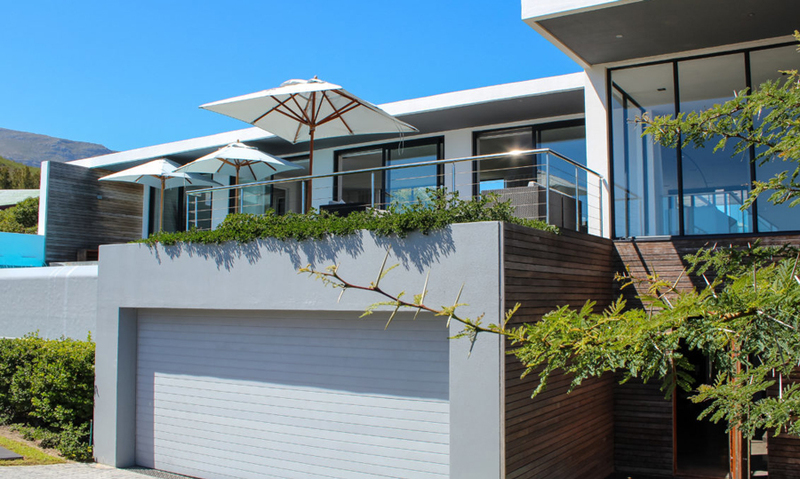 Managed superbly by Sonja, this property’s modern elements and beautiful clean lines have made it an easy suggestion for all our clients’ briefs. 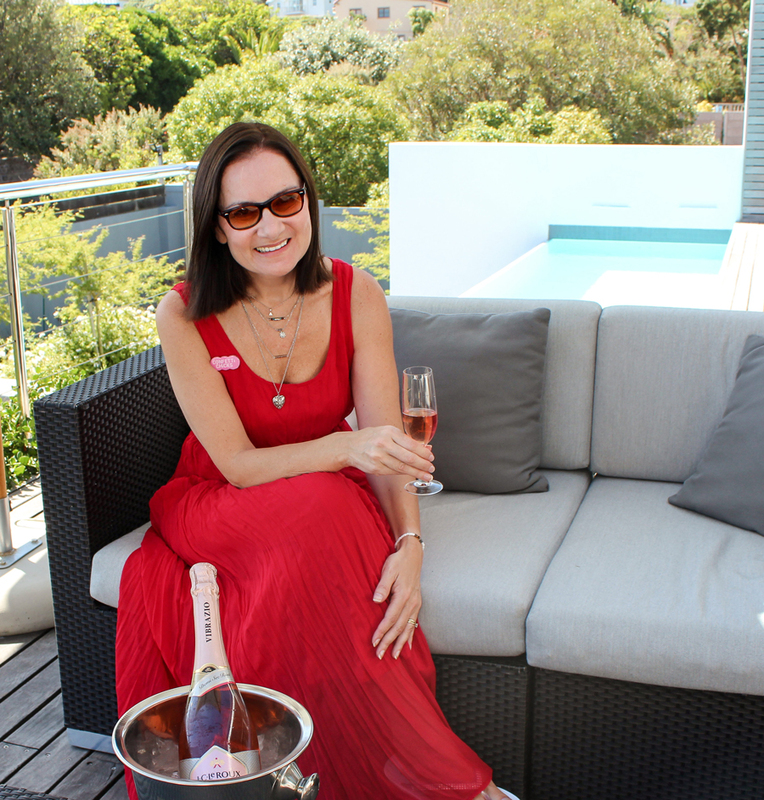 Hi Sonja, we thoroughly enjoyed the house and the beautiful location. We hope to be back soon (and that saying nice words do not get the price up). We loved WATERLINE. It truly was paradise. Sonja and Philip were fantastic hosts too. I will sign post any South Africa bound clients in your direction for sure. I just wanted to say thank you again. It was such an enjoyable experience and I’m hugely grateful for all the accommodations you made for us throughout the process! I really look forward to referring Waterline on to future clients (and hopefully staying there again!). 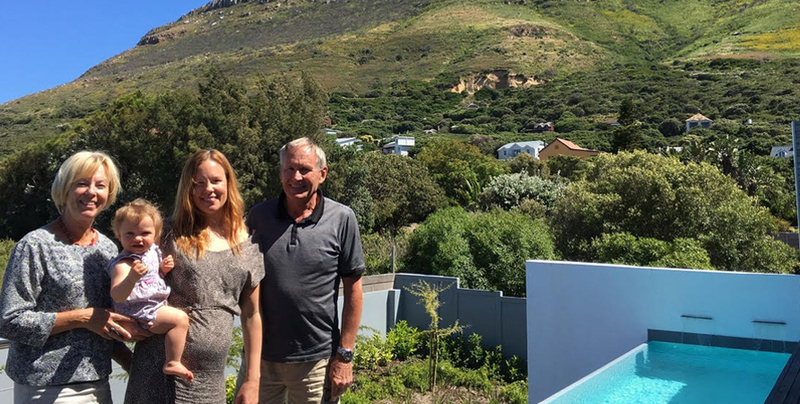 Bei unserem Besuch in Cape Town hatten wir das unglaubliche Glück in Waterline zu wohnen. Schon vor unserer Ankunft standen wir in engem Kontakt mit Sonja Baily, wo alle Fragen zu Anreise und Unterkunft besprochen werden konnten. Nach einer herzlichen Begrüßung waren wir überwältigt von dem wunderschönen Haus und dem atemberaubenden Blick auf das Meer. Wir haben uns mit unseren 3 Kinderrn sofort sehr wohl gefühlt. Grundstück und Haus sind sehr großzügig angelegt und bieten allen Comfort und alle Möglichkeiten der Erholung und Entspannung. Es war jeden Tag aufs Neue schön nach einem Ausflug an diesen Ort zurückzukehren und sich bei einem Buch am Kamin oder auf der Terasse am Pool einfach nur wohl zu fühlen. Wer mochte konnte auch im Garten ein ruhiges Plätzchen finden oder sich im Fernsehraum zurückziehen. Die Küche was herausragend gut ausgestattet, so daß es eine Freude war sich dort ein leckeres Essen zuzubereiten. Zur Begrüßung standen Kaffee und Wein der Region bereit, was einem sofort ein heimeliges Gefühl vermittelte. Sonja hat uns in ihrer unvergleichlich herzlichen Art in alles eingewiesen und uns schnell eine Orientierung über die nähere Umgebung gegeben. Wir haben uns bei ihr sehr gut aufgehoben gefühlt und konnten von ihr vieles über Land und Leute erfahren. Sie war jederzeit für uns ansprechbar, unterstützte uns tatkräftig auch in Notsituationen, wobei es sehr angenehm war, mit ihr in englisch und deutsch sprechen zu können. Sonja hat sehr dazu beigetragen, dass wir uns in Waterline so wohlgefühlt haben und bei einer weiteren Reise nach Südafrika wieder dort wohnen möchten. Wir können Waterline in allen Kriterien empfehlen. Es ist wunderschön gelegen, am Rande eines Naturschutzgebietes, nur wenige Minuten vom Strand entfernt. Wir haben oft den Tag mit einem Spaziergang am Strand begonnen und abends den phänomenalen Sonnenuntergang bestaunt. So war Waterline für uns wie eine Oase, in der wir uns mit unseren Kindern sicher und wohl gefühlt haben und wo wir eine Zeit erlebt haben, an die wir gern zurückdenken. Ich wünsche jedem, dass er sich dort auch so sehr wohlfühlt wie wir. Heaven on earth! We had amazing time. An architect’s dream home, properly built with a simple palette of luxurious materials sparingly used, controlled changes of scale and beautiful detailing. Beautifully decorated and the attention to detail is just wonderful (very impressed by quality off furnishings, fixtures and fittings). Location is great with beautiful views from both balconies. Beautiful interiors, well equipped, very spacious and very luxurious. Beautiful bedrooms with tasteful decor, very well equipped kitchen, spacious living area, large flat screen TV with Apple TV which is very useful if you have DSTV now on your phone (and want to watch sports), stunning sea views and sunsets, heated rim flow pool and stunning art work throughout. We loved the views, sunsets and access to the beach. Wonderful Waterline nestled in Noordhoek. What a beautiful home to stay in! From all its modern features and gorgeous decor, being close to the sea sure helps too! This stunning house is an absolute dream for a weekend away or any holiday break you need. 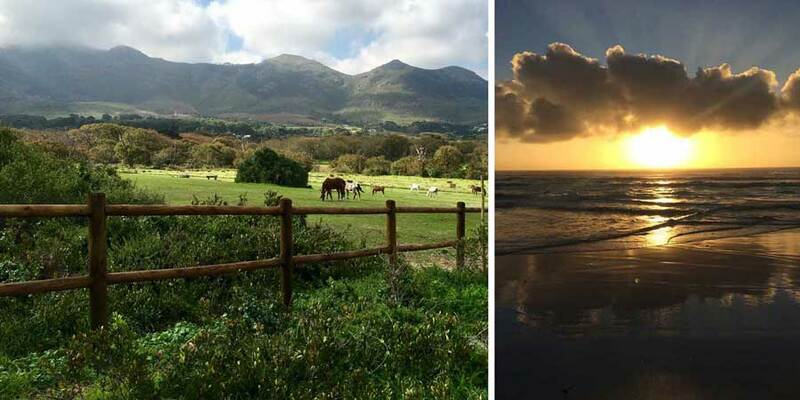 Idyllic, overlooking Noordhoek beach, close to Cape Town, wineries and surrounding villages. 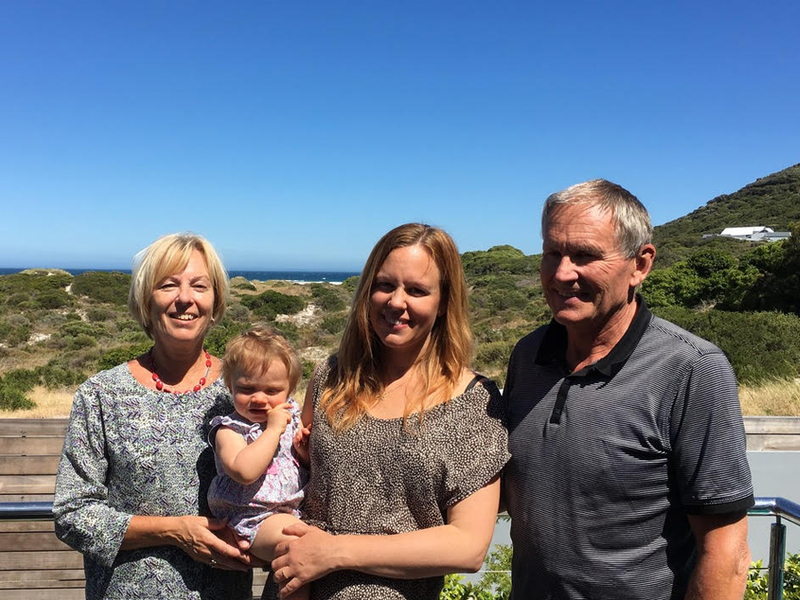 My husband and I visited here with our 6 month old baby in November 2017, and found this the perfect base for Cape Town & surrounds – we could have happily stayed so much longer. 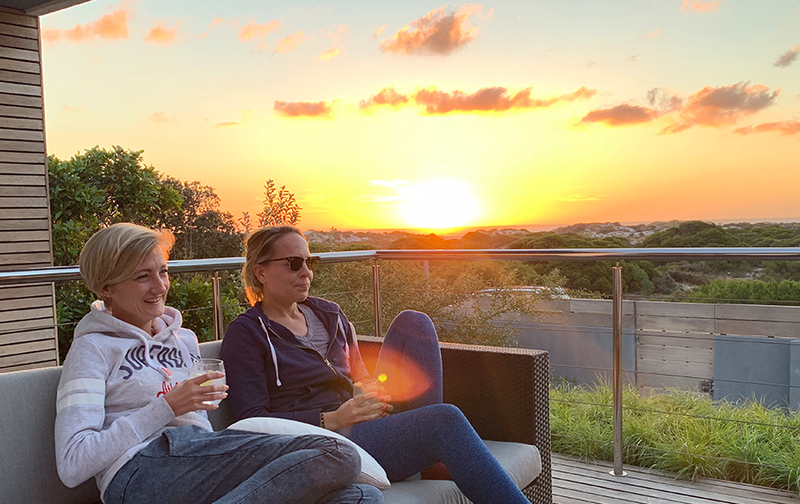 The house is a beautiful modern structure complemented by a varied art collection and fascinating books, though the highlight for us was the nightly front-row view of the sun setting over Noordhoek beach. It’s very spacious and despite spending 10 days here we barely had time to do justice to each of the communal areas (library, living & dining area, front and rear decks, television room, garden & pool). We loved the way the view of Chapman’s Peak changed from day to day and as we moved around the villa. 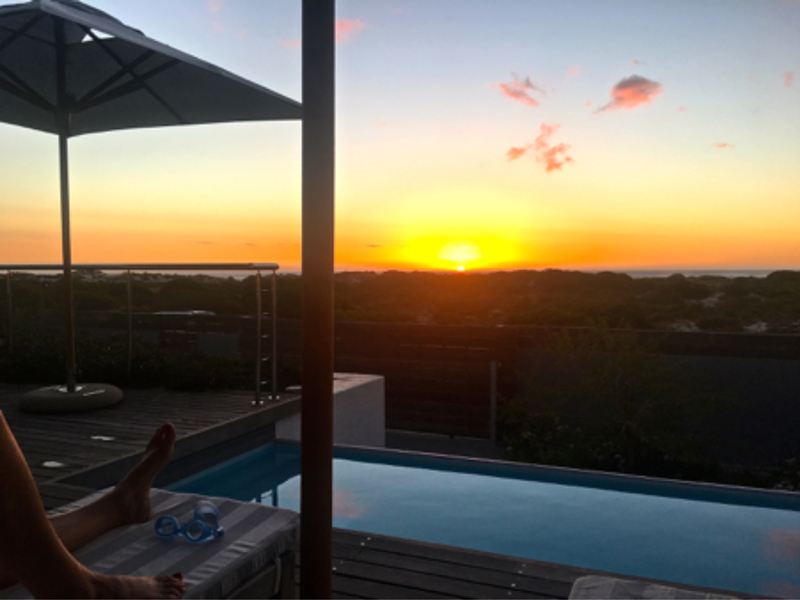 We spent much of our time relaxing on the decks, swam with our baby every day and took advantage of the private yoga and private chef options which enhanced the feeling of luxury and relaxation. The hardest decision every morning, after dragging ourselves from the incredibly comfortable bed, was whether to use the indoor or Bali-esque outdoor bathrooms attached to each bedroom. It’s a great area for running, cycling and surfing and we enjoyed the walk/short drive to excellent local eateries and visiting nearby wineries. Particular favourites were the Noordhoek village market every Wednesday evening and the market at Cape Point vineyard every Thursday evening (possibly only in summer?) – similar to the Hamptons (NY), relaxing vibe in lush surroundings. The property manager, Sonja, met us on arrival and it felt like having a personal concierge for our trip. She is situated locally and made herself available whenever we needed. She could not have been more charming and helpful, even arranging the private yoga and chef and ensuring the cleaning schedule met our needs and wasn’t disruptive. Her advice on walks, restaurants (from fine dining to fun cafes) and best times to visit popular tourist destinations really helped us get the most out of our trip. This is a great spot for an idyllic break, and we can’t wait to return. Waterline is everything you can wish for in a holiday setting, the perfect combination of pure luxury, sophistication and style. The open plan design makes for easy entertaining and the spectacular panoramic views of mountain and sea can be viewed from all parts of the house. We have had the most magnificent holidays in both summer and winter at Waterline. Cannot wait to experience the breath taking sunsets again. It had been a challenge to be back to reality after the wonderful week at Waterline. Thank you so much for everything, and the wine!!!!! We had an amazing time and very important memories for the children.We will definitely be back soon. Waterline is a luxurious house with amazing views. Bedrooms are quiet, comfortable and tasteful. There are several entertainment areas for different weather and times of the day. Fireplace and library downstairs, two terraces with mountin and ocean views and a modern open kitchen. What we especially loved is big entertainment possibilities, enjoying the sunset and ocean on the terrace, morning beach walks and the outside showers after a cool and comfortable sleep. 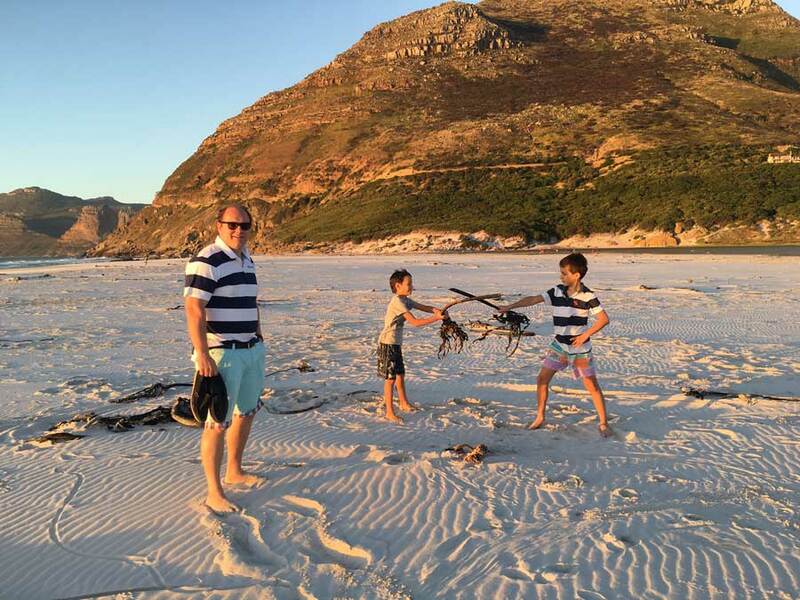 Noordhoek also have several very good restaurants and is a perfect place to explore the southern peninsula. Waterline is a little slice of heaven; every detail has been well thought out and executed to perfection. 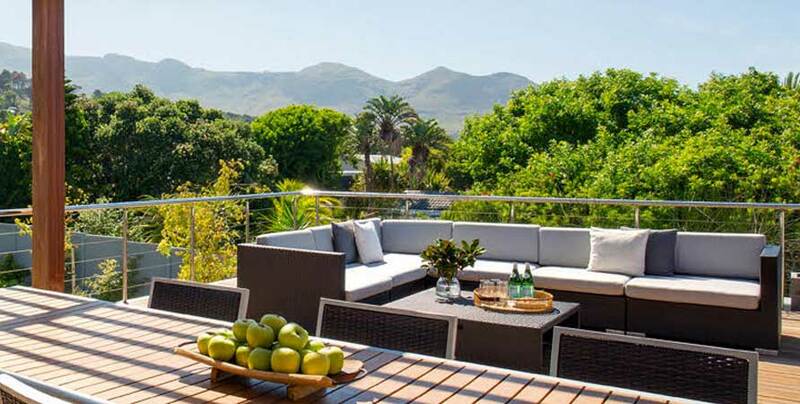 The location is ideal to enjoy the surrounding areas including the quaint town of Noordhoek. Our family enjoyed our few days at Waterline and we can’t wait to return. We only wish it wasn’t on the other side of the world. We stayed at Waterline with our family of three boys and absolutely loved it. The house has a modern and welcoming feel and once you step inside is beautifully designed. The bedrooms and bathrooms are stylish and tranquil while the living room is spectacular. The real action is on the first floor where an amazing dining / living room and kitchen flow one way toward amazing mountain views and the other to stunning views of the sea over the beautiful pool. 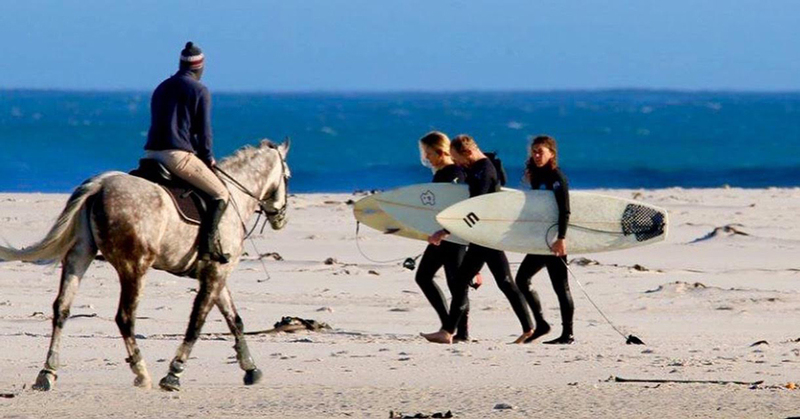 The views and access to the gorgeous Noordhoek beach right outside the front door make it easy to enjoy beach time and swimming in the sea for those who are adventuresome. For those wishing a more leisurely dip the pool is fantastic. 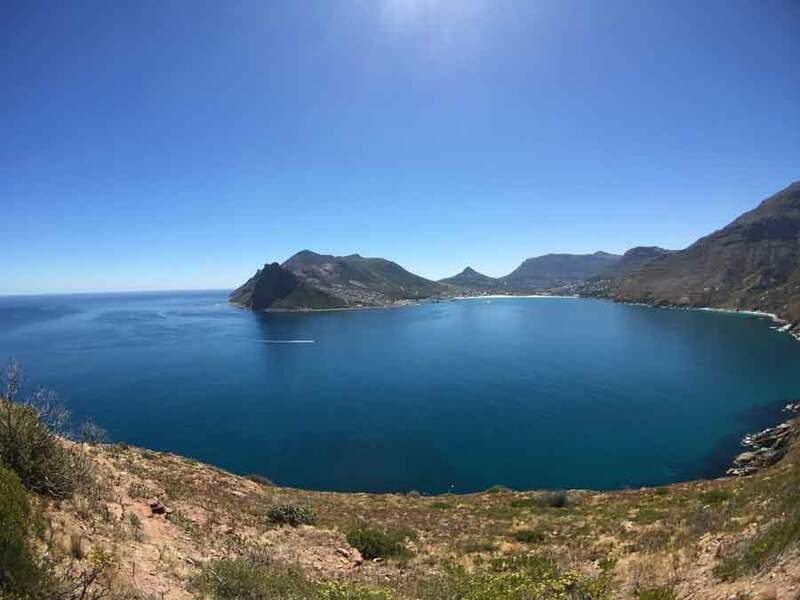 Aside from beach on our doorstep access to Noordhoek village with its store and restaurants and to the breathtaking Chapmans peak drive was fabulous. This is an excellent home away from home. Design well thought out. Absolutely functional and the outdoor showers are breath-taking. Beautiful ocean view and a less than 3 min walk to the white sandy beach. Absolute dream holiday home for the family. Excellent service. Warm welcome. Deserves a prestige rating. Very, very cool beach house with enormous WOW factor! 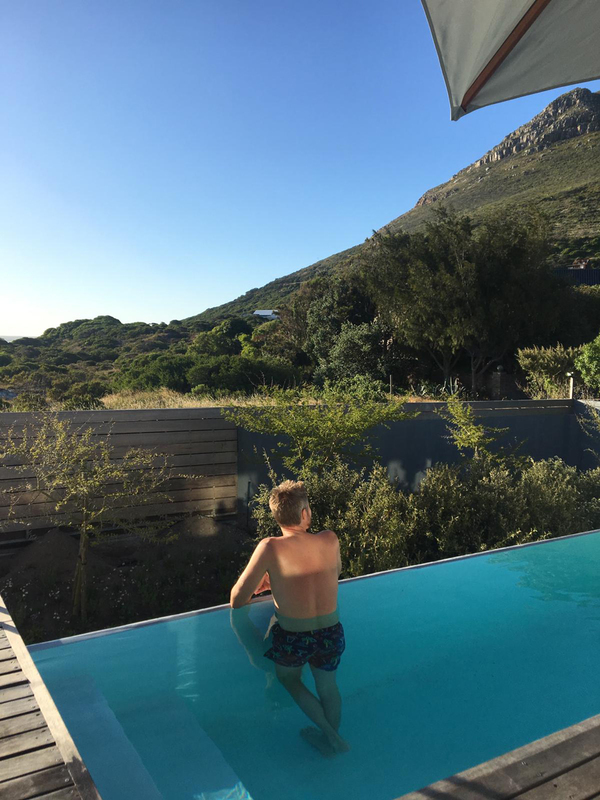 We stayed at WATERLINE in April and it was the perfect destination to chill out by the beach and use as a base to explore the rest of the Cape but still be within an easy (and beautiful) drive to Cape Town. I build luxury villas myself and so have a critical eye, but WATERLINE didn’t skip a beat: chic modern architecture with no expense spared on the details and finishes combined with well thought out and striking interior design and furniture. All this combined made our stay at WATERLINE just perfect. Strongly recommended to anyone who appreciates the very best. Waterline is beautiful in every way. We have stayed there twice now and we never want to leave. 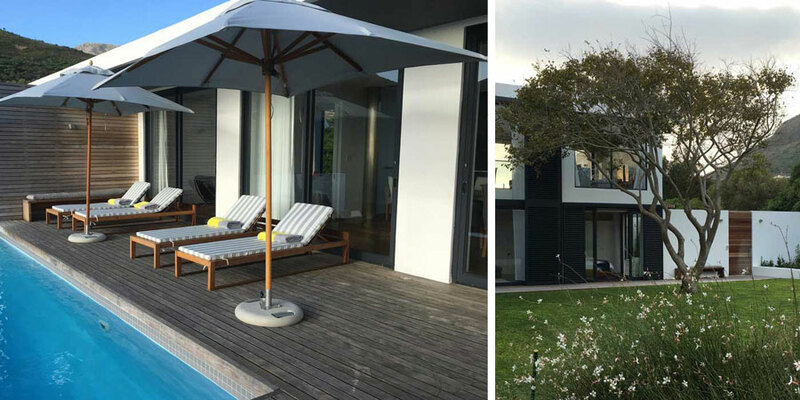 The house is in the sleepy town of Noordhoek, making it the perfect escape from your normal busy life. But don’t think you’ll be leaving the luxuries of home behind. Waterline has every amenity you could want, including two braais, a massive kitchen, a rim-flow pool overlooking the most spectacular ocean sunsets, outdoor showers in every room, a relaxing lounge with library and fireplace, a separate room with a flat screen and Apple TV, and a large garden. It’s perfect for couples vacationing together, or families, with ample room across the four bedrooms and common areas. But the thing that really stands out about Waterline is the attention to detail in the exquisite design, from the architecture to the interior . Fair warning to all that stay here… you may leave having found your dream home. We stayed over the Christmas/ New Year period and couldn’t rate Waterline in more superlative terms. 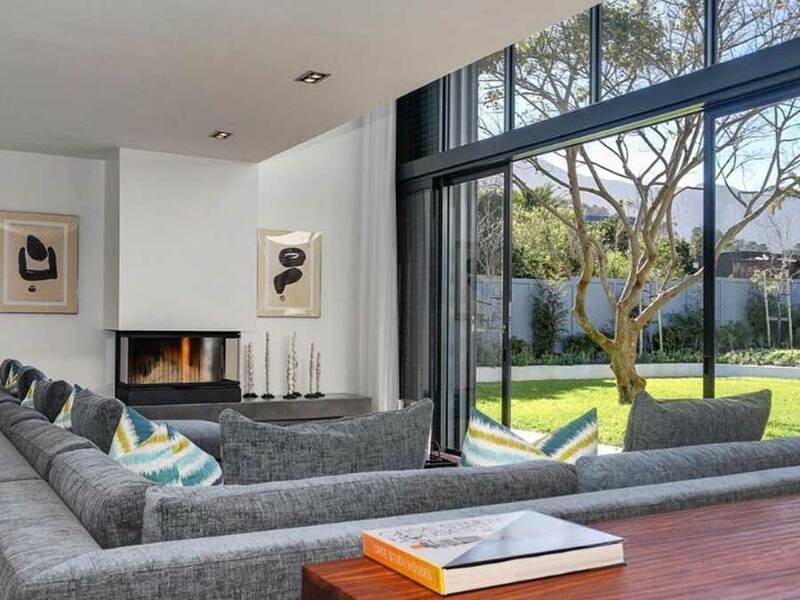 It is quite simply the perfect property from which to enjoy Cape Town from. 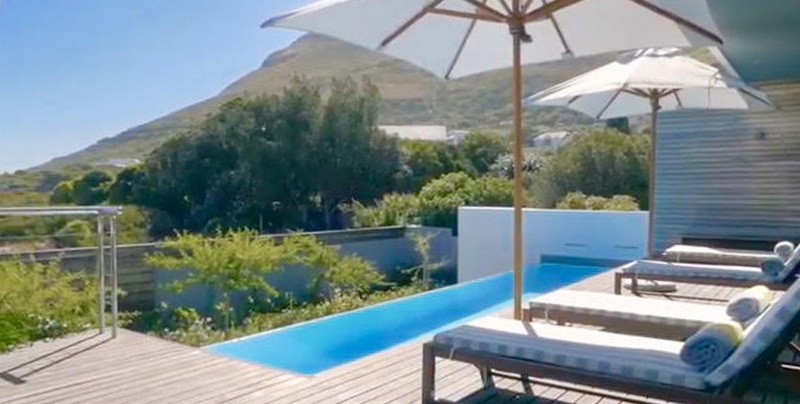 We absolutely loved the property’s prime location in Noordhoek, stunning views and fresh scent of the sea, dramatic vistas of Chapman’s Peak and yet all the space and modern comfort which this amazing property offers. We found the proximity to Cape Town perfect for our family, especially for the busy holiday season when it was so nice not to have to drive through traffic every day. The bedrooms were extremely comfortable and bathrooms were reminiscent of the most comfortable, luxurious Asian resorts which we have stayed at (the large wooden doors and windows and dramatic views, coupled with the Asian/ Zen atmosphere throughout the property really reminded us of some of the nicest Aman resorts in Asia). The kitchen, electricals and lighting throughout the house gave the feel of real comfort and everything was easy to use and to find. The property, having been done up to the highest spec, felt extremely secure and safe at all times. The outdoor spaces are extremely generous and offer excellent and different spaces – all extremely useful for families who might have different parties/ children with friends who might require separate areas to spend time together- and also extremely useful when entertaining friends. The charm of the property also lies in the fact one can enjoy a secluded and private area facing the beach – and yet at the same time not feel isolated. 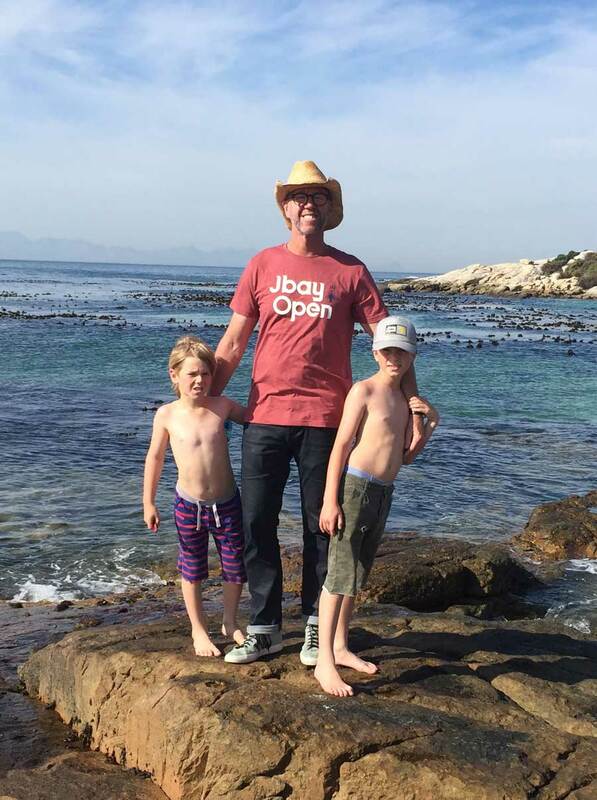 Very important for families such as our’s who live in the busy city and crave raw natural beauty but at the same time want to be a short hop “from the action” of downtown Cape Town. 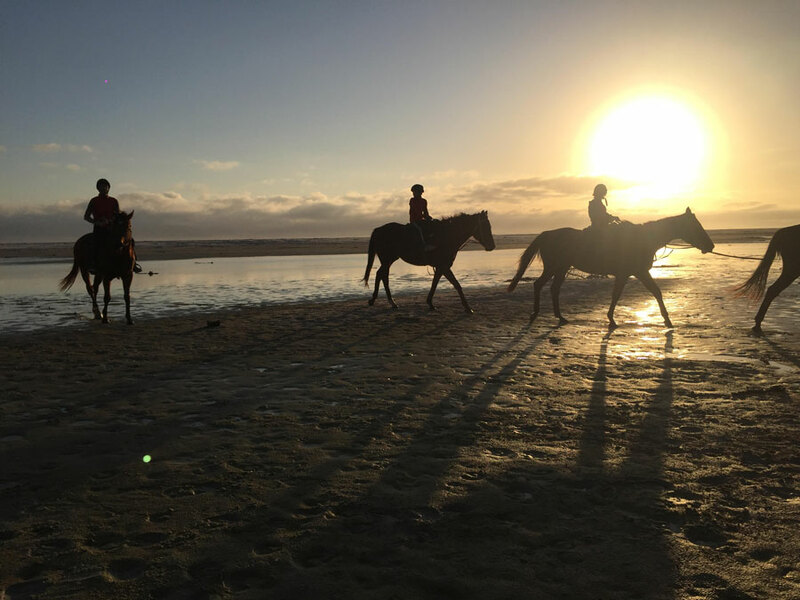 The restaurants in the local area are excellent, there’s excellent shopping nearby and it was so good to be able to take walks on the stunning beach on your doorstep and ride a horse when we wished. We really couldn’t think of a better place to stay, relax and from which to enjoy Cape Town and the surrounding area. A real gem of a property in breathtaking location. We loved the sleek, modern design of WATERLINE with double height entrance hall and double height windows onto the garden. Lots of interesting artwork and books and different, functional living and entertaining spaces, including well maintained garden, upstairs and downstairs lounge areas, library, large dining table, kitchen dining area, TV room, outdoor loungers, BBQ and outdoor dining area, infinity pool overlooking beach with loungers. Great bedrooms, each with different artwork, en-suite bathrooms and separate, private out-door shower areas. 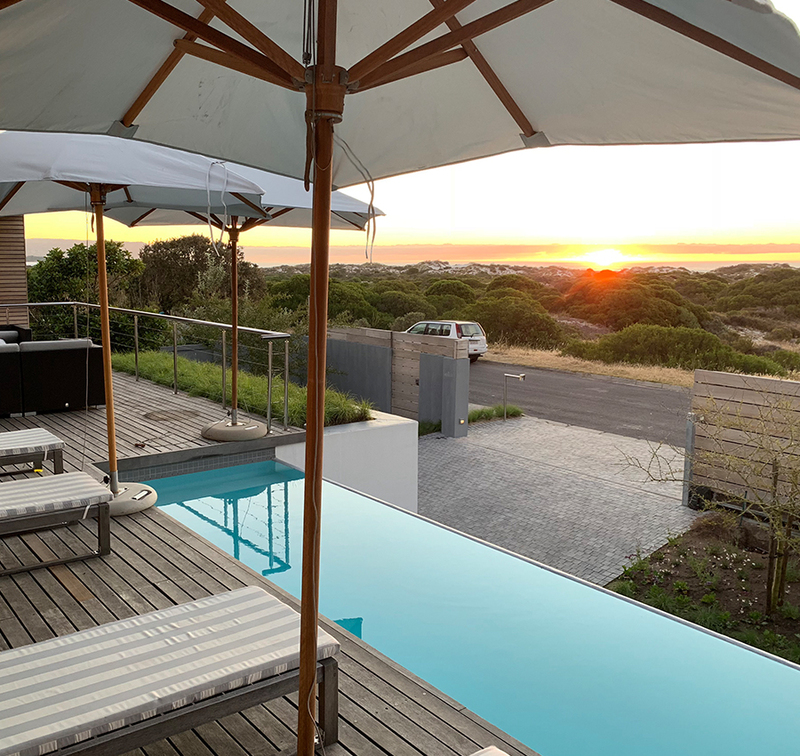 Very tranquil and private – not overlooked, great deck (with infinity pool) for watching the sunset over Noordhoek beach. Peaceful garden and terrace at rear with lots of sun and a large tree for shade. My wife and I visited with our young child and were spoiled for space. The ample living and entertaining space options would mean that, even with every bedroom occupied, I think you would still have plenty of private space. 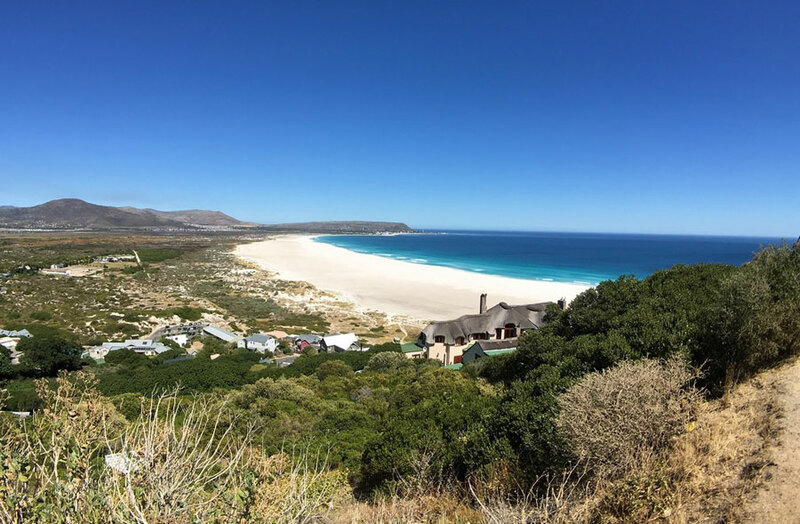 Great location – fantastic views of Noordhoek beach with direct access through the sand dunes opposite the front of the property. Short drive / walk to great local restaurants, bars and shops in and around Noordhoek village. The presentation of the property was excellent, I really couldn’t fault it. Housekeeping was superb, the property felt clean and all round first impressions were top notch. We loved our nights at WATERLINE. The showers were wonderful, the house beautiful and it has a good vibe to it. We had a great stay and thank you for the short booking notice . We’ve passed your details to 3 different people already! They loved the photos. We stayed at Waterline for a week in March, and we can’t speak highly enough of the place. The house itself has been put together immaculately, with a perfect balance of being both very comfortable but also feeling like you’re staying somewhere very nice and very special. 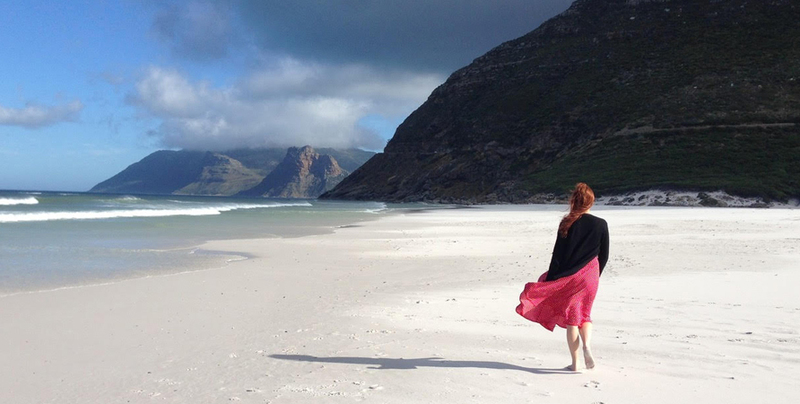 The location goes without saying, with Noordhoek’s famous beach a short stroll away and with Chapman’s Peak just to your right, you’re in one of Cape Towns loveliest settings. What we particularly liked about our stay was that we hosted two large get togethers on separate occasions, using two totally different parts of the house. 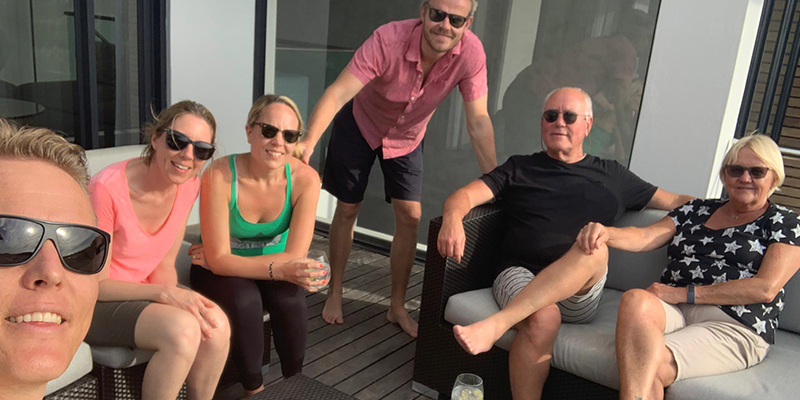 Firstly we used the deck for a wonderful braai, wining and dining on the deck, followed a couple of days later by evening drinks by the pool and a superb dinner inside. We had 10-15 people on each occasion very comfortably. We will surely look to stay at Waterline again on our future trips to the Cape having built so many wonderful memories from our time there. Entering Waterline you experience the spaciousness, the light and the beautiful design. The view from the terraces is breathtaking. Sofas on both floors, sundeck, spacious dining inside and on the terrace and the placement of the bedrooms allow a very comfortable stay and entertaining for a big group of people. Waterline gives you an exclusive feeling with a warm atmosphere. 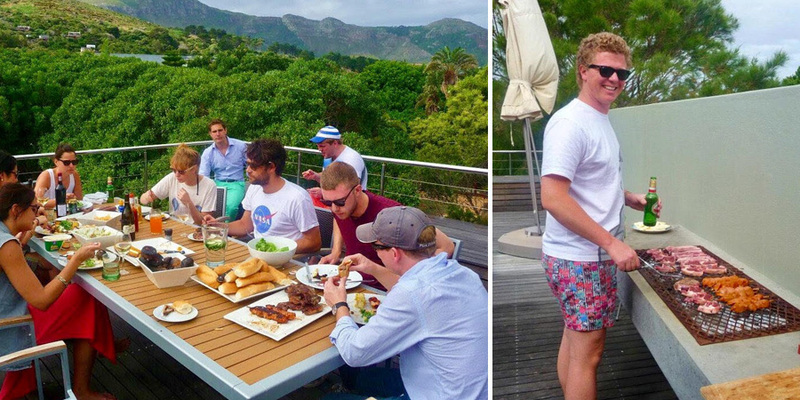 The days at Waterline have given us very special memories of South Africa. Att komma in genom entrén och uppleva rymden, ljuset och den i allt genomtänkta inredningen är storslaget. Sovrummens placering och design fulländar intrycket av att här vill jag stanna länge. De två terrasserna på övervåningen har en vidunderlig utsikt. Stora sällskapsutrymmen och rymliga matplatser ger plats för samvaro utöver det vanliga. Hela huset ger dess besökare en exklusiv känsla med en varm atmosfär av omtanke. Att vi fått möjlighet att tillbringa några dygn i det här huset och på den här platsen har gett oss starka minnen från Sydafrika. Our family have stayed at Waterline twice now and each holiday far exceeded expectations. The house is beautiful with everything you could possibly need supplied. The views are breathtaking, the beach is right on the doorstep and the surroundings are superb. The house is close enough to the nightlife in Cape Town but feels like it is out in the countryside surrounded by mountains and sea. 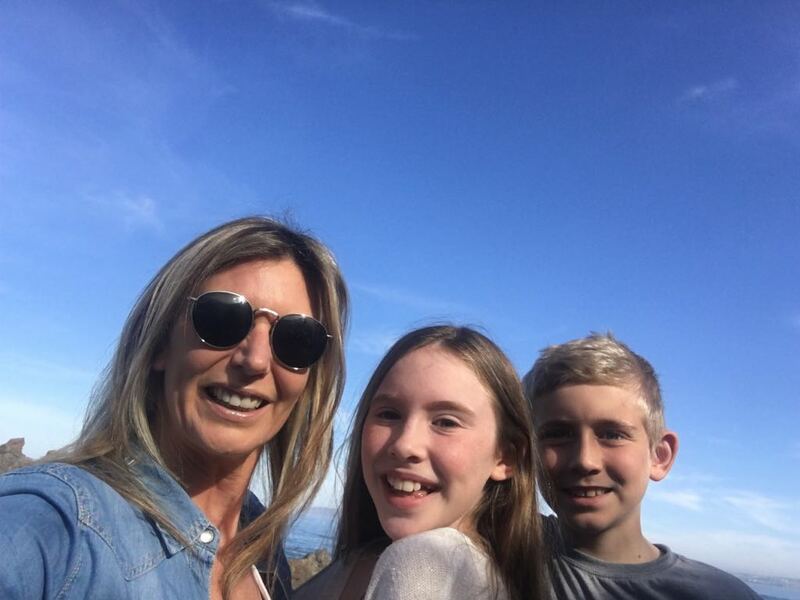 Each holiday ended far too soon as there was too much to do but we found it difficult to leave the house! 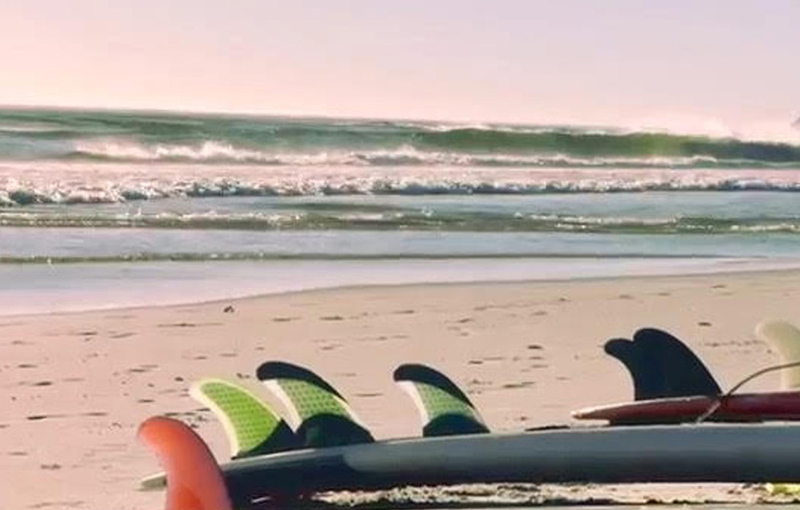 It’s the perfect place to unwind, spoil the family and get the most out of Cape Town. 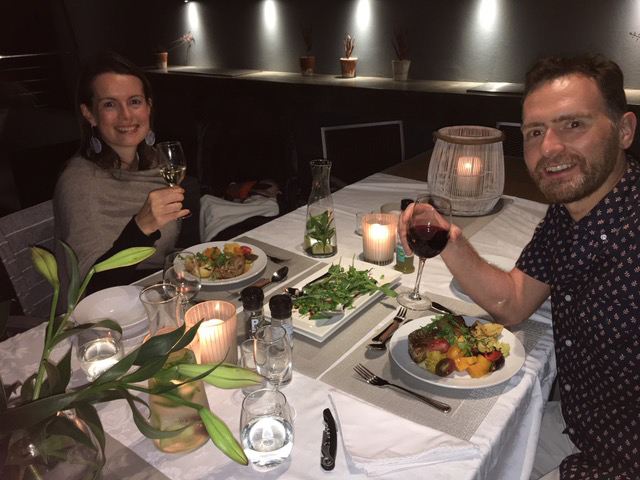 We also took advantage of the private chef on offer and the most amazing dinner party was catered for us and our friends, without lifting a finger.